This best-selling book is certain to remain in the forefront of Gospel exegesis for years to come. 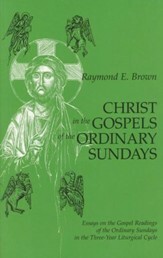 In it, Father Brown treats the Gospels, written thirty to sixty years after the life of Christ, as reflecting considerable theological and dramatic development and not simply as literal accounts of a historical event. 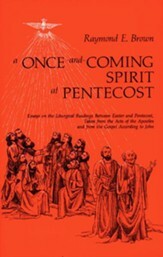 This best-selling book is certain to remain in the forefront of Gospel exegesis for years to come. In it, Father Brown treats the Gospels, written thirty to sixty years after the life of Christ, as reflecting considerate theological and dramatic development and not simply as literal accounts of a historical event. 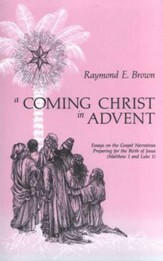 Raymond E. Brown, S.S., (1928-1998) was the Auburn Distinguished Professor of Biblical Studies at Union Theological Seminary in New York City. He was author of some forty books on the Bible and past president of three of the most important biblical societies in the world. 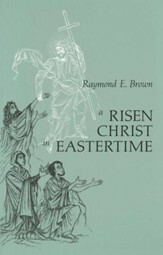 By appointment of two popes (Paul VI in 1972, John Paul II in 1996) Brown was a member of the Roman Pontifical Biblical Commission. Time magazine called him "probably the premier Catholic Scripture scholar of the U.S."
This volume is worthy of recognition. . . . It is well written, pastorally sensitive and possesses a clear theological focus. Brown has the uncanny ability to introduce the critical scholarship to the general reader in a manner that both invokes interest and raises pertinent questions in the mind. 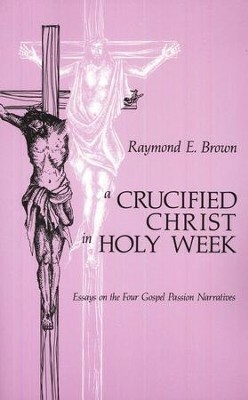 I'm the author/artist and I want to review A Crucified Christ in Holy Week.